The Foreign Language Oscar nominee doesn't want to send a message. 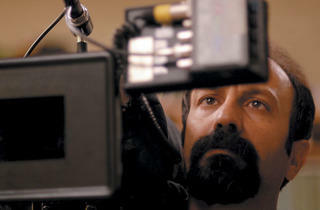 THE LAST DETAIL Farhadi perfects his shot. The Iranian film A Separation opens with a couple (Leila Hatami and Peyman Moadi) arguing before a divorce judge. She wants to move to America, thinking her daughter will get a better education there, while he wants to stay behind and care for his father, who has Alzheimer’s. The scene ends without the judge offering clear guidance, and the movie quickly gives way to the petty squabbles and arrangement-making that ensue. Indeed, everything about the film feels so natural that crucial lines and gestures initially seem unimportant. By the time it’s over, A Separation has become the sort of movie that makes you want to rewatch everything you’ve just seen. 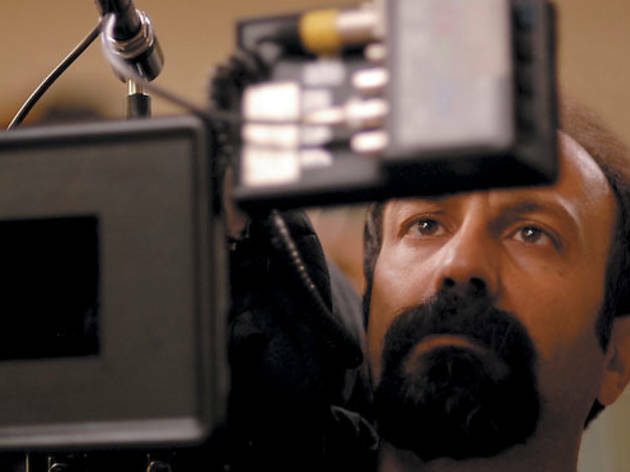 The director, Asghar Farhadi, doesn’t feel you have to see it twice, but he acknowledges the temptation is there. “All the big events that take place in the film are caused by very small details in the story,” Farhadi explains over coffee early on a Sunday morning at the Toronto International Film Festival. His eyes are slightly runny; he appears to be battling a cold or allergies. Like Farhadi’s last film, About Elly, which concerned the recriminations that followed a disappearance during a seaside retreat, A Separation is structured around absences: We typically see one less perspective than we need to have absolute certainty of what occurred, which—given what transpires—ultimately puts the viewer in the position of the judge. The movie becomes a parable about the damage lies inflict on family and the impossibility of ascertaining truth. Whatever his inspirations are, Farhadi has hit on something with close-to-universal appeal. Since winning the Golden Bear at Berlin in February 2011, A Separation has earned the sort of acclaim few filmmakers ever receive. Naming it the best film of 2011, Roger Ebert wrote that it “will become one of those enduring masterpieces watched decades from now.” It’s won the bellwether awards for this year’s Foreign Language Oscar, and Farhadi is also nominated for Best Original Screenplay. But the director is modest about the movie’s origins. “It’s so hard for me to tell you where the very initial idea came from,” he says. “I can tell you [the ideas] came from very different places, different times. Part of it was my experience,” including taking care of a grandfather with Alzheimer’s. A Separation opens Friday 27 at the Music Box and Century 12 Evanston/CinéArts 6.